Liberty Mutual is the parent company of Liberty Life Assurance Company of Boston. Liberty Life is an excellent choice for life insurance. However, the company is one of many choices available to you. At TermLife2Go, we work with dozens of the top rated companies offering the best life insurance and best no medical exam life insurance. Keep reading our review of Liberty Life to determine if it is the right company for you. Liberty Life, a Liberty Mutual company, offer a variety of insurance policies. Its parent company offers insurance policies including a range of auto & vehicle, property, as well as life insurance, under the Liberty Life banner. The parent company, Liberty Mutual, has been around since 1912. Liberty Life was established in 1964. Liberty Mutual issues life insurance and annuities via Liberty Life Assurance Company of Boston. Liberty Life’s parent company is Liberty Mutual. Liberty Mutual controls the finances and is the entity rated by the different insurance rating agencies. These ratings are really helpful for understanding a insurance company’s financial strength and prospects for the future. 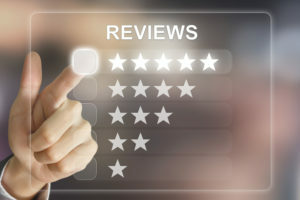 These three ratings organizations all expressed confidence in Liberty Mutual as a financial institution and insurance provider in the company meeting ongoing financial obligations to its policyholders. Like most life insurance companies, Liberty Life Insurance offers two main categories of policies: term life insurance vs permanent life insurance. Liberty Life Assurance Company of Boston offers accelerated underwriting life insurance for a wide range of products, including both whole life and term life. Level term life insurance is designed so that the policy remains in effect for as long as the term. Consider term life insurance for protecting the primary income earner, covering a mortgage, or securing a small business loan. Simplified issue term life insurance available in 10, 15, 20, and 30 year terms. Liberty Mutual offers several permanent life insurance policies. Permanent life insurance lasts your entire life, as long as premiums are paid. Generally, this type of coverage is for estate planning or business succession planning, such as funding a buy-sell agreement. All Liberty Mutual whole life insurance endows at age 121.That means the policyholder will receive the full face amount upon reaching age 121 – good luck with that! Liberty Series Whole Life: cash value life insurance that is guaranteed throughout your life—as long as premiums are paid. Face amount and premiums are fixed. Liberty Series Life paid-up at 65: Level premiums until age 65, at which time the policy is paid up life insurance. Liberty Series 20-year Payment Life: Level premium payments over 20 years. Liberty Series Extra Value Life: Blends whole life insurance and term life insurance together, which in turn lowers the premium compared to ordinary whole life insurance. Only available as payable to age 100. Consider a GIO rider when looking into life insurance for children or young adults. It allows the purchase of additional life insurance with no evidence of insurability periodically throughout his or her life. Universal life insurance offers lifelong protection similar to whole life but with the flexibility to change your premium payments and raise or lower your death benefit. Spirit Series Performance Universal Life – flexible premiums and face amount policy that builds cash value. Spirit Series Universal Life– Similar to Performance UL but sacrifices cash value for a lower premium. So that wraps up the many benefits of Liberty Mutual. Now let’s investigate if there are any drawbacks to the company. Liberty Mutual is one of the largest disability insurance companies offering group disability insurance. The Company offers both short term and long term group plans. The older you get the more likely you will be to become disabled. Short term disability insurance can provide a financial cushion to keep you from going into debt if you become disabled due to an injury or illness. Generally, short term disability coverage lasts 6 months to a year. After that, you will need longer term protection. If you are totally disabled due to an injury or illness, long term disability insurance can replace your income while you are on the mend. After the initial elimination period, your monthly income benefit is paid for the benefit period. For more information, please check out our article on private vs group disability income insurance. One potential con is that the company does not offer participating whole life insurance. Dividends are an important component when building cash value. Another drawback of Liberty Mutual is that it is but one company of many. As with any carrier, we recommend that you consider you options so that you know you are choosing the best life insurance company available. There is a good chance that Liberty Mutual is the best life insurance company for you. They are for many. However, each individual case is unique and deserves to be treated as such. There may be a life insurance company out there that better meets your individual needs, offering you a lower rate and better coverage. If you straight away purchase a life insurance policy with Liberty Life, you’ll never really know. Don’t worry; TermLife2Go is here! We help life insurance seekers like you to find the best life insurance company for each specific case. Sometimes we recommend Liberty Life—after all, they’re a great company—and sometimes we find out another life insurance company is better for our client. We take the effort to do thorough research each and every time, providing you with a solid recommendation—one we can stand by—each and every time. Then, after we spend some time getting to know you and your needs, we compare that information against what various life insurance companies can offer you. We work with dozens of companies offering the best life insurance to find you the best life insurance policy possible. If you call Liberty Life directly you will only find out what they have to offer. However, if you call TermLife2Go, you’ll not only find out about what rates Liberty Life will give you for specific policies, but also what many other life insurance companies will. Thank you for reading our article, Liberty Mutual Life Insurance Review. Please leave any questions or comments below. I would like to know more about family Life insurance. An agent will reach out to your ASAP.